If there's one thing Noah loves, it's being like his Daddy. 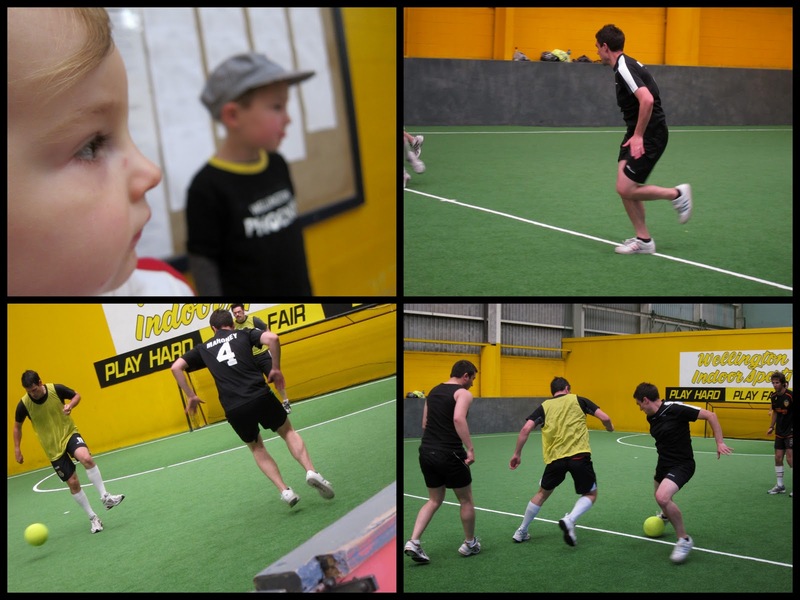 Playing football like Daddy, wearing the same football shorts as Daddy. Noah has been playing in a Little Dribblers team this season. He and his little daycare pals are all playing in their Argentina kits with No. 10 'Messi' on their backs. They look so cute running around the field. A little less like sheep than last year. And no hand holding required, funny what a difference a year makes. As much as he enjoys playing football, I think the thing he loves the most is knowing it is something he has in common with his Daddy. Watching his Daddy play football is right up there on Noah's bucket list. Coincidentally, Daddy's team are called 'The Messi Badges'. 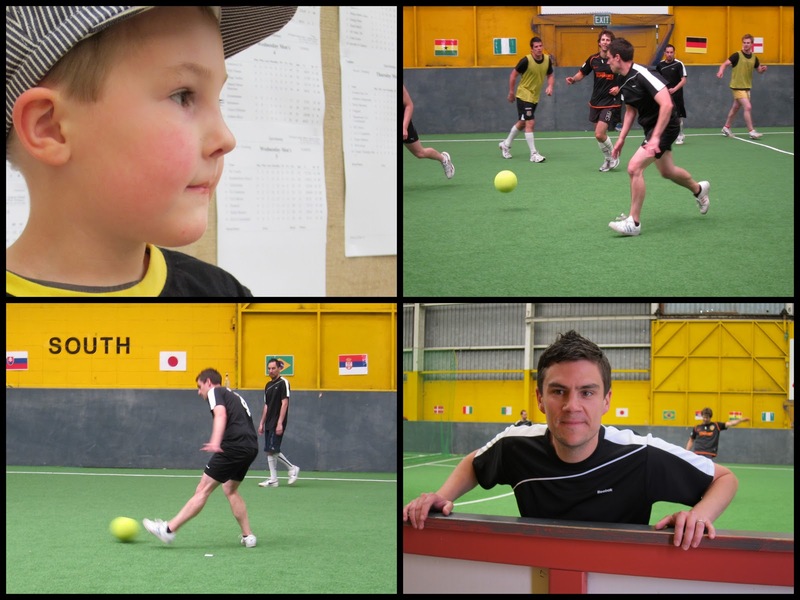 Mark's indoor football team plays every Monday night. But the sessions are always way too late for little cheerleaders to come along. Daddy and his mini me. Note the same footie shorts...Yeovil Town of course. During the game, Noah was mesmerised. Well, for the first half at least. We left Daddy to it for the second half (missing his goal too - sorry Daddy! ), and took a walk along the waterfront, stopping in to Ferg's to watch some adventurous souls climbing the rock wall. 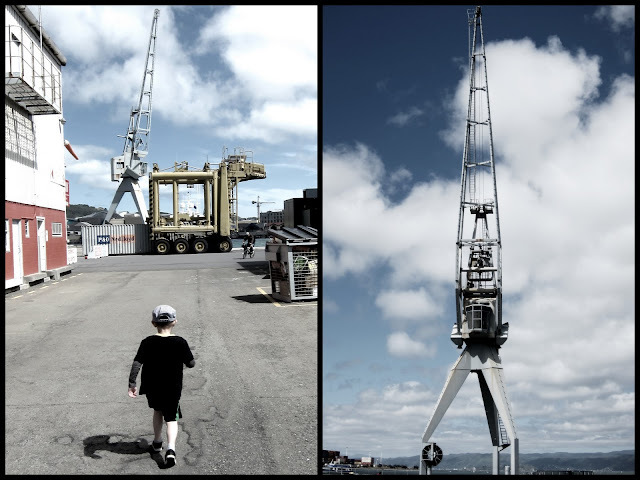 Noah spotted a crane and told me it looked like just like a rocket ship. I had to agree! Hearing the faint sound of music, we followed it for a few minutes, whilst it grew ever louder. 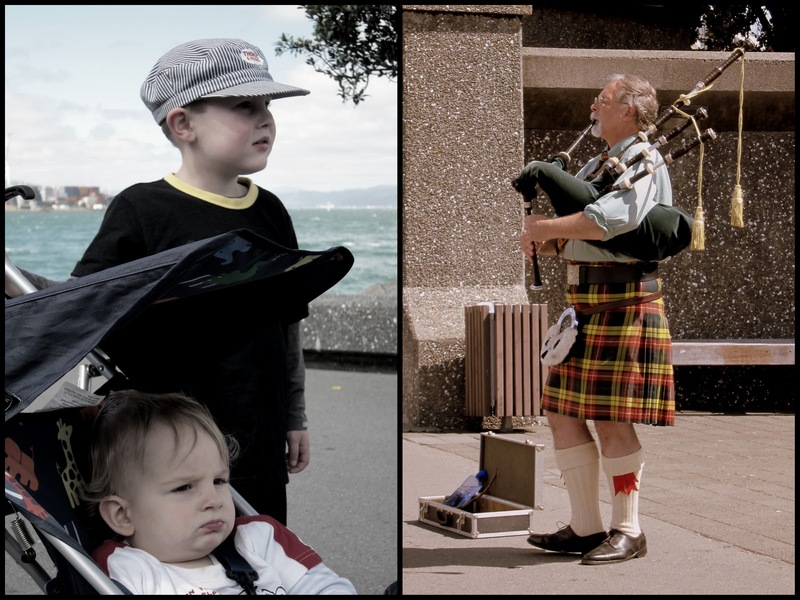 All the way till meeting a bagpipe player blasting his breath into the pipes, the music tripping and disappearing like music on a page into the whistling Wellington wind. We wandered back to the car forcing ourselves to move forward in the strong breeze, finding some look-a-like landmines to balance on along the way. 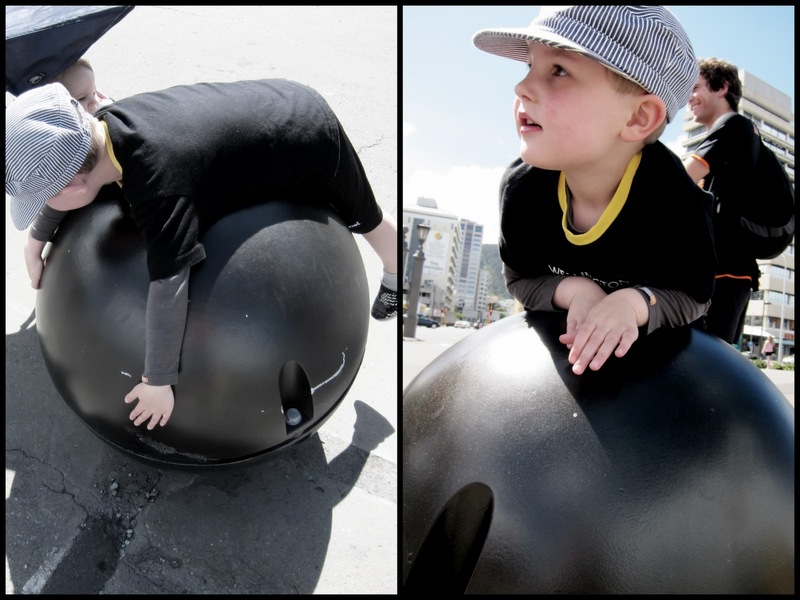 Hey its just like the swiss ball at home Mum! Just another happy family Sunday afternon in the capital.